The Oscar-winning screenwriter and best-selling author William Goldman, known for "Butch Cassidy and the Sundance Kid" and "All The President's Men", died on Friday. He was 87. A longtime resident of New York who hated to step foot in Hollywood, Goldman also gained fame for his non-fiction books about the business. In Adventures in the Screen Trade, published in 1982, he's credited with coming up with the final dictum on Hollywood genius: "Nobody knows anything." Actors, Authors and Directors like Rob Lowe, Stephen King, Neil Gaiman and Edgar Wright shared their condolences on Twitter. Actor Rob Lowe wrote, "William Goldman’s work made me fall in love with movies (Butch Cassidy, Marathon Man, All The President’s Men). His books taught me about writing and navigating showbusiness, which will never be the same without him. He was a true legend." William Goldman’s work made me fall in love with movies (Butch Cassidy, Marathon Man, All The President’s Men). His books taught me about writing and navigating showbusiness, which will never be the same without him. He was a true legend. Author Stephen King said, "So sorry to hear of the passing of William Goldman. He was both witty and talented. His screenplay of my book MISERY was a beautiful thing. Rest In Peace, Bill." Writer and Director of movies like 'Baby Driver' and 'Scott Pilgrim vs The World', Edgar Wright tweeted, "It's no small feat to be a smart, witty writer and smart and witty about writing. 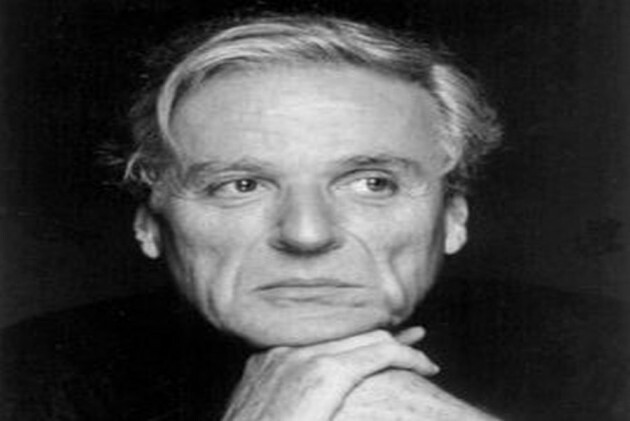 RIP the legendary adventurer in screenwriting, William Goldman." Author Neil Gaiman recalled the time he interviewed Goldman and tweeted, "I was lucky, in 1984, to interview William Goldman at the Savoy. He brightened up when I told him that of all his books, I loved The Princess Bride, then his least successful book, the best. A gentleman: he wrote brilliant novels & screenplays & explained Hollywood to the world." I was lucky, in 1984, to interview William Goldman at the Savoy. He brightened up when I told him that of all his books, I loved The Princess Bride, then his least successful book, the best. A gentleman: he wrote brilliant novels & screenplays & explained Hollywood to the world. "A few words on the passing of William Goldman: In addition to being a legendary screenwriter, he was a friend and mentor to so many other writers, offering guidance and support, directly influencing hundreds of films beyond his own work..." tweeted Beau Willimon.